What Is a Geriatric Parrot? 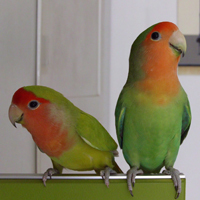 – Pet Birds by Lafeber Co. 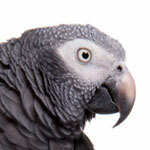 The term geriatric relates to old age, but do we really know when a parrot is old? That is a very difficult question as the answer depends in part on the life expectancy of that species of parrot. Unfortunately, we have limited information on that. It’s only been about 20 years that we have known the age of hand-reared parrots. We’ve had data on the life expectancy of parrots in the wild, and for many years, assumed that life with us would make them live longer. But that seems to have been very wrong. 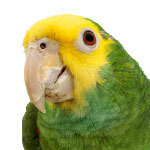 It appears that nutrition, exercise and genetics all play into the life span of our parrots. It is better to define geriatric birds as those for which medical conditions associated with aging begin. In other words, if they show physiological signs characteristic of aging, then then are geriatric. 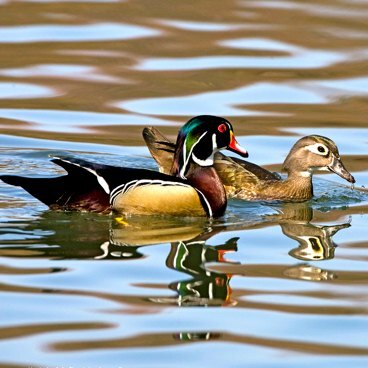 We know that birds as a group enjoy remarkably slow aging rates and long life spans for their size. Dr. Ottinger reported that, “The remarkably slow aging that characterizes many members of the class Aves relative to similar-sized, non-flying mammals appears, at least in part, to be correlated with an evolutionary history of low adult mortality rates. Even small (<100g) songbirds, like barn swallows (Hirundo rustica) often survive in the wild up to 5 years or more; captive zebra finches (15 to 20 g) routinely live over 8 years.” She also stated that, “The long life spans and slow aging rates of birds are even more remarkable when considered in light of their high gram-specific rates of energy expenditure. The oxidative damage hypothesis, currently a central theory in biogerontology, posits that reactive oxygen species (ROS) generated during normal oxidative metabolism are responsible for many of the molecular changes underlying aging-related physiological declines.” So, despite their high-energy expenditure, they don’t age at the rate you might expect or show the anticipated physiological declines. 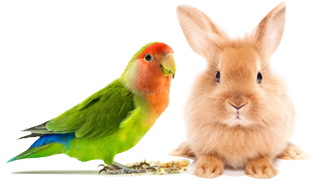 Interestingly, Dr. Ottinger provided research evidence that “Avian defenses against oxidative damage may include a complex array of mechanisms, including antioxidant enzymes and structural defenses, such as lower levels of saturated fatty acids in cell or mitochondrial membranes. Birds may also have superior forms of protection against — and repair of — damage to DNA and other cellular components by pro-oxidant molecules. Even more intriguing, however, is the possibility that bird mitochondria employ specialized alterations of the mitochondria “machinery” itself, including adaptive proton leak that may result in the production of fewer ROS in the first place. That means that there would be less damage to internal membranes, thereby allowing birds to live longer than mammals of comparable size. The maximum recorded longevities (MRLs) of wild birds average 1.7 times greater than MRLs of captive mammals, and captive birds on the whole outlive captive mammals by a factor of three. While birds in the wild live much longer than mammals of similar size, birds in the wild do die from diseases associated with old age. Avian diseases of aging are generally similar to those seen in mammals, and include atherosclerosis, neoplasms including cancers, senile ocular cataracts, biochemical alterations in collagen and other connective tissues, and reproductive changes, including neoplasms, malignancies, and endocrinological deficiencies. 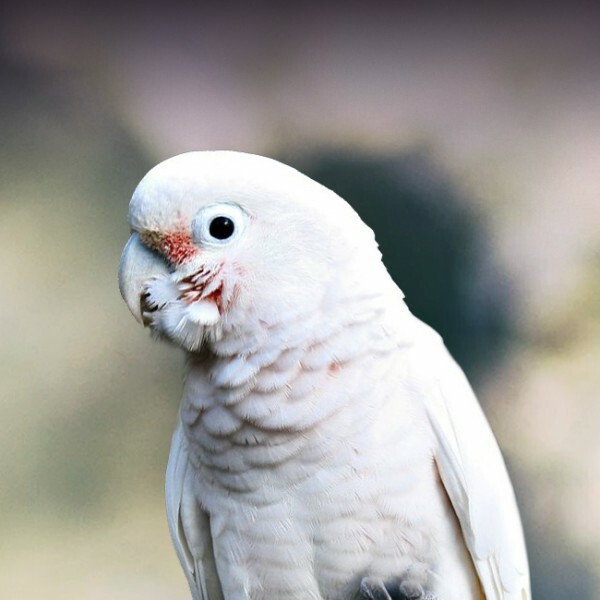 According to Zoo/Exotic Pathology Service, which looked back over years of data on older birds, budgerigars and lovebirds were considered older at 6; cockatiels at 12; and larger parrots including Amazons, macaws and cockatoos at 30. 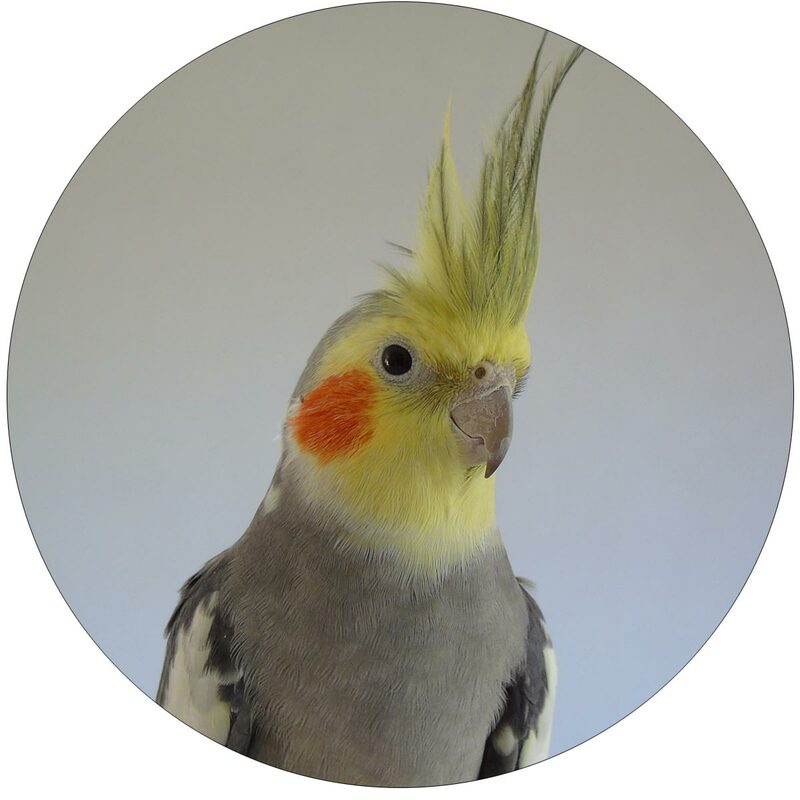 In our practice at Bird and Exotic Pet Wellness Center, we are observing these changes at the age of 20! 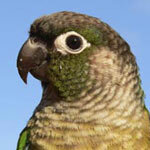 Cardiac disease has been historically underdiagnosed in pet birds. 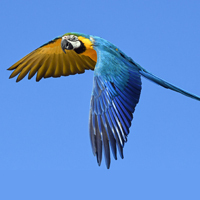 Atherosclerosis is reported most often in Amazon parrots, particularly in blue-fronted Amazon parrots, African grey parrots, and macaws, according to Drs. Reavill and Dorrestein. Commonly these lesions cause increased arterial resistance that affects the heart. Early changes in the heart include hypertrophy of the left ventricle followed by left ventricular dilation, dilation of the left atria, right heart dilation, and right heart failure. Right heart failure can lead to congestion, atrophy, and, subsequently, cirrhosis of the liver. Many birds die because of a decreased blood supply to the brain as a result of severe narrowing of the carotid arteries. There may be a history of the bird going through periods of a loss of awareness of their surroundings in the days or weeks before their death. We commonly see parrots that have fallen off their perches and appear dazed for a short period of time, have seizures or changes in mentation. When looking at changes in the skin, the most commonly reported problem is dermatitis followed by skin tumors. Cataracts are common in birds as they age as well. The lesions of hepatic fibrosis, bile duct reduplication, and aggregates of granulocytic extramedullary hematopoiesis are the typical findings in chronic liver disease in birds. 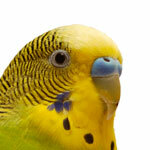 Amazon parrots, cockatiels, macaws, and budgerigars seem to be more commonly recognized with chronic liver disease. Grossly, the affected livers are variably shrunken, pale, and fibrotic. The capsule is often thickened and the edges of the liver are rounded. Degenerative lesions of the joints are more common in older psittacine birds. Causes include previous trauma or infection, or metabolic conditions, such as gout. Degenerative changes of muscle wasting and joint stiffness were reported in a group of aging macaws and were most prominent in birds over 40 years of age. Joint stiffness was characterized by a limitation in the range of motion of the joints, particularly the hock (intertarsal) joints. There were also twisting deformities that developed at the carpi, causing the primary flight feathers to twist laterally. New studies show that the bone degenerates when birds do not fly. Ovarian tumors are the most common problem with the reproductive tract in parrots and in males there can be senescence of testes. Concerning the respiratory system, chronic interstitial fibrosis is reported in geriatric parrots and results in exercise intolerance. Pathologic examination revealed loss of functional lung tissue, pulmonary interstitial fibrosis, and right heart failure. Hematology revealed an elevated packed cell volume as a result of an increase in erythrocyte size and an increased hemoglobin. These are tests that can be run by your avian veterinarian. Captive birds are blessed with adaptations that in theory allow them to live up to 3 times their comparably sized mammalian counterparts, but eventually it seems old age can lead them to the same panoply of geriatric diseases, including atherosclerosis, neoplasms, cataracts, connective tissue problems, reproductive changes, kidney failure, and cardiac disease. Like mammals, they can suffer from reduced mentation, dermatitis, skin tumors, liver disease, degenerative joint disease, ovarian tumors, and breathing difficulties. Different species have different life spans, but geriatric parrots are those that are showing physiological signs characteristic of aging. It is up to us to provide the best care in terms of nutrition, habitat, social interaction, and exercise to ward off the afflictions of advanced age.